Light Messages Publishing, 9781611532098, 376pp. 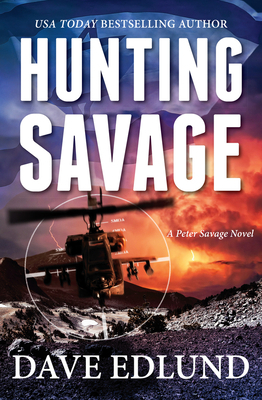 When an unthinkable act of treason and a clandestine pact threaten to redraw the map of the Middle East, Peter Savage is hunted by those he once trusted.A free-lance hacker uncovers top-secret files concerning about a government cover-up surrounding the 1967 Six-Day War and triggers a murderous rampage at a resort town in Central Oregon. When the files inadvertently land in the possession of Peter Savage, he is targeted by assassins from both sides of the Atlantic. To make matters worse, he becomes a wanted suspect by the FBI and local police, implicated for murders he did not commit.As the body count rises and with nowhere to turn, Peter makes a desperate decision. With his canine companion Diesel, he retreats to the one place where he might even the odds. An outdoorsman and hunter, Peter seeks to draw his pursuers to the Cascade Mountains, where he plans to leverage the harsh terrain to his advantage. Doggedly trailed by both law enforcement and a small army of battle-hardened assassins, Peter becomes both hunter and prey.With his own fate uncertain, Peter fights overwhelming odds to reveal the truth before full-scale war engulfs the Middle East. Dave Edlund is the USA Today bestselling author of the award-winning Peter Savage series and a graduate of the University of Oregon with a doctoral degree in chemistry. He resides in Bend, Oregon, with his wife, son, and four dogs (Lucy Liu, Murphy, Tenshi, and Diesel). Raised in the California Central Valley, he completed his undergraduate studies at California State University Sacramento. In addition to authoring several technical articles and books on alternative energy, he is an inventor on 97 U.S. patents. An avid outdoorsman and shooter, Edlund has hunted North America for big game ranging from wild boar to moose to bear. He has traveled extensively throughout China, Japan, Europe, and North America.